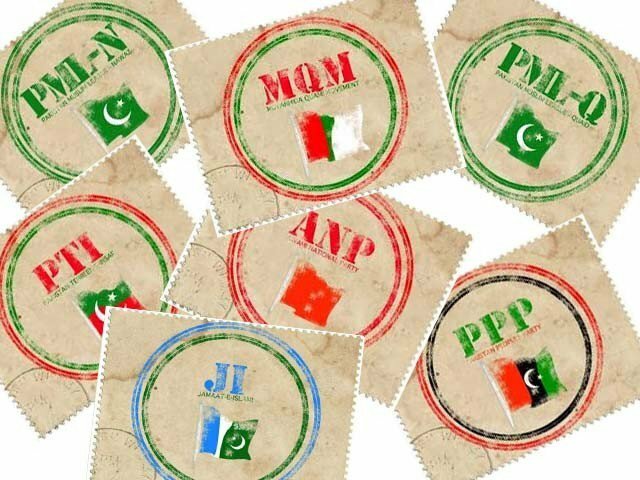 The Election Commission of Pakistan (ECP) has declared 34 political parties eligible to contest general elections of 2018 after they furnished all required documents and fee for registration, reported a local media outlet. The parties which have been permitted to contest the polls include Pakistan Muslim League-Nawaz, Pakistan People’s Party, Pakistan Tehreek-e-Insaf, Pakistan Muslim League-Quaid, Muttahida Qaumi Movement, National Party, Awami National Party, All Pakistan Muslim League, Awami Muslim League, Pakistan Awami Tehreek, Majlis-e-Wahdat-e-Muslimeen, while factions of religious parties under the banner of Muttahida Majlis-e-Amal is also on the list. All the approved parties have also submitted Rs200,000 registration fee to the ECP. On December 26 last year, the ECP, after the passage of the law by the Parliament, had asked political parties to submit Rs200,000 as enlistment fee, besides submitting lists along with computerised nat­ional identity cards of 2,000 members each, a mandatory requirement under section 202 of the Act, within two months.